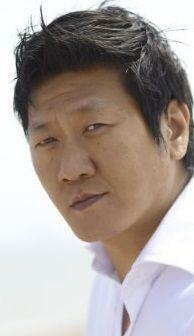 Benedict Wong is a British actor of film, television and stage. He is best known for playing the role of Kublai Khan in Netflix’s Marco Polo from 2014 to 2016. He is also known for his roles as Bruce Ng in The Martian (2015), and as Wong in Doctor Strange (2016). In 2017, he provided the voice of Alex Yu in Arkane Studios’s game, Prey. Born on June 3, 1971 in Manchester, England, Wong’s parents were emigrated from Hong Kong to the UK through Ireland. He grew up in Salford, and studied two years of performing arts at Salford City College. His first role was in a 1993 BBC Radio play called Kai Mei Sauce. *He was born in Manchester, England on June 3, 1971. *His parents were emigrated from Hong Kong. *He used to work as an usher at Manchester’s now defunct Green Room Theatre. *He gained 30 pounds for the role of Kublai Khan in Marco Polo. *He is a supporter of Manchester United.